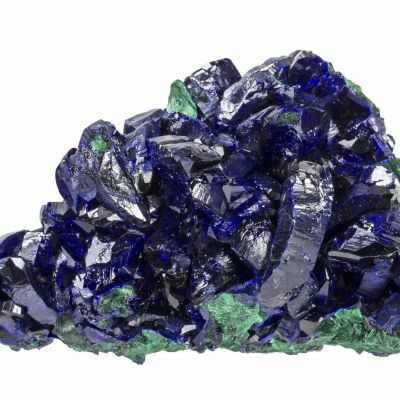 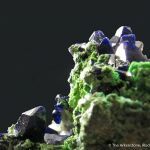 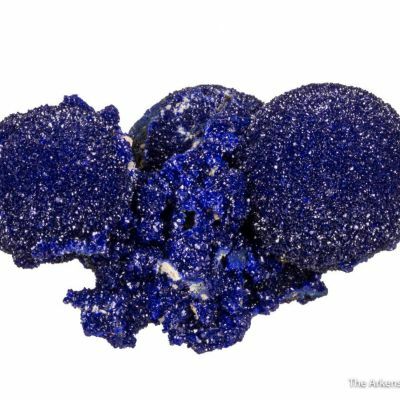 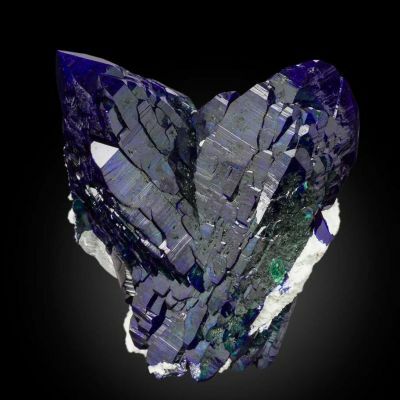 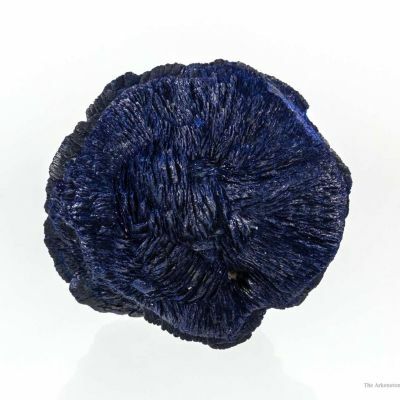 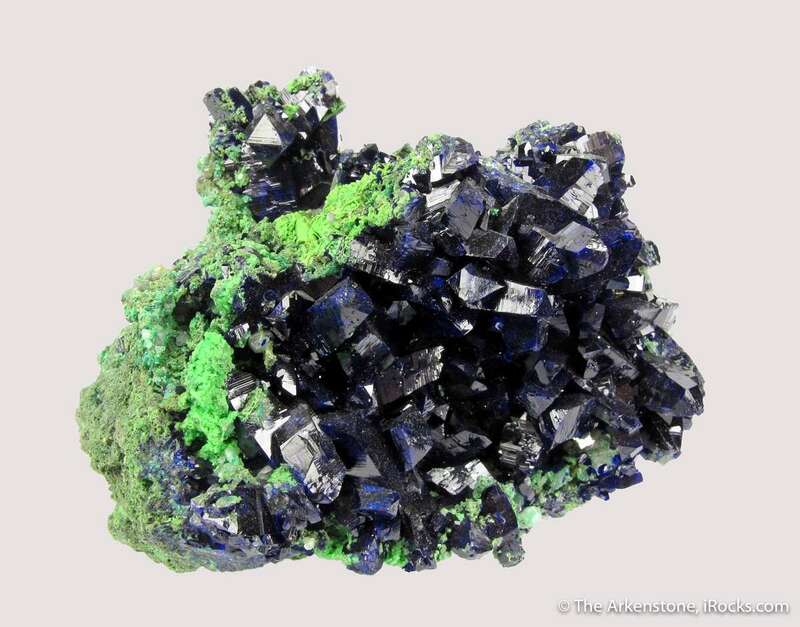 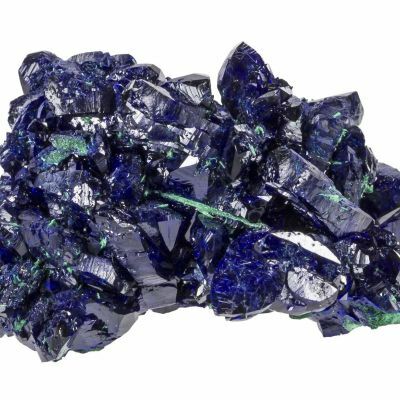 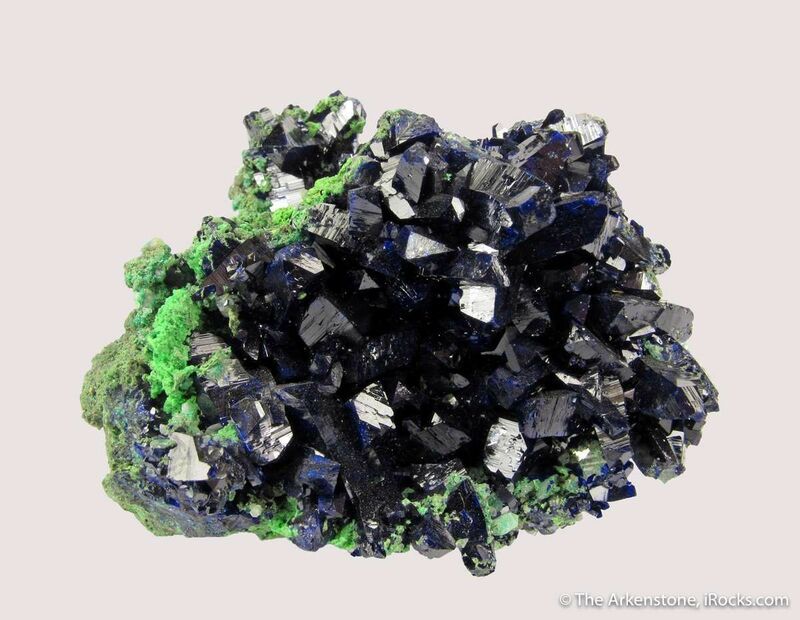 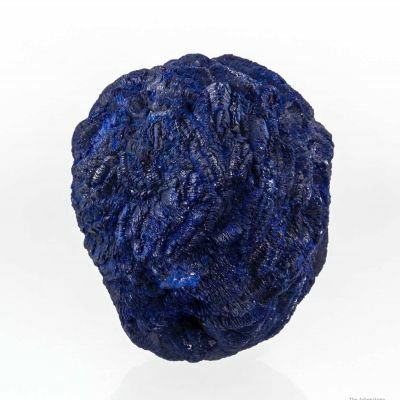 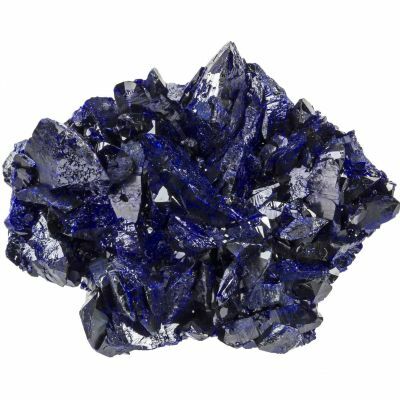 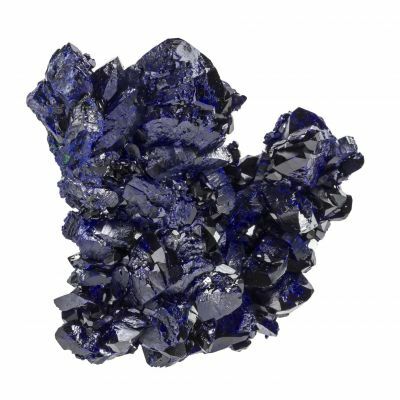 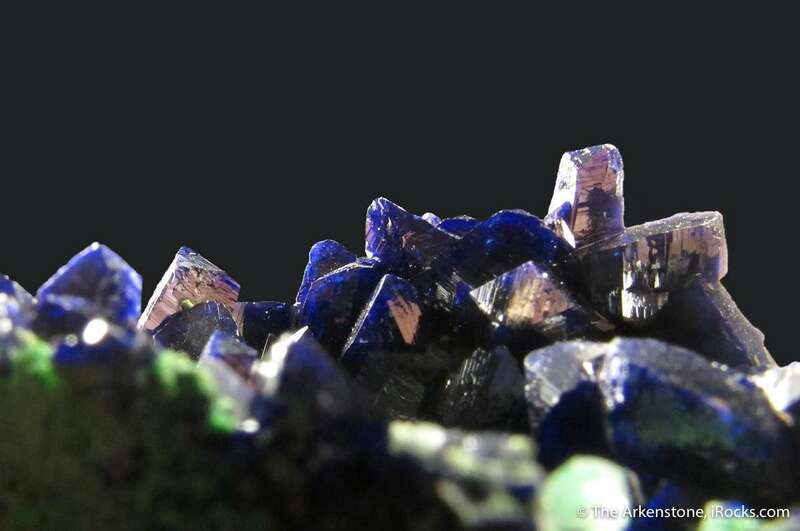 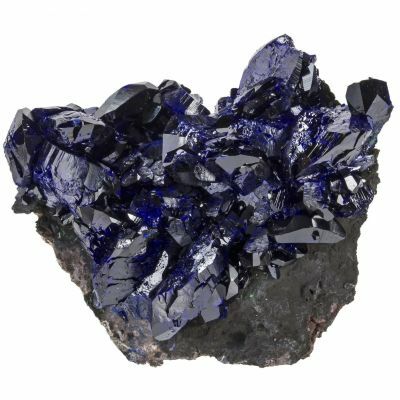 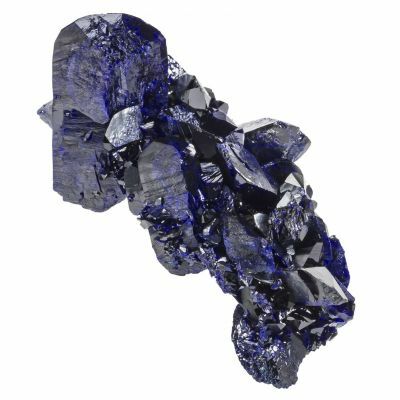 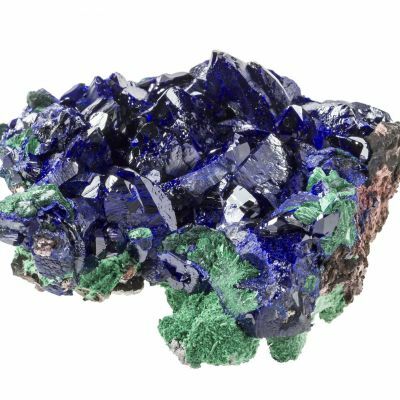 Noteworthy, three-dimensional small cab of Azurite crystals perched on a carpet of Arsentsumebite (characteristic of the first oxide zone of the upper levels of Tsumeb, mined circa 1900). 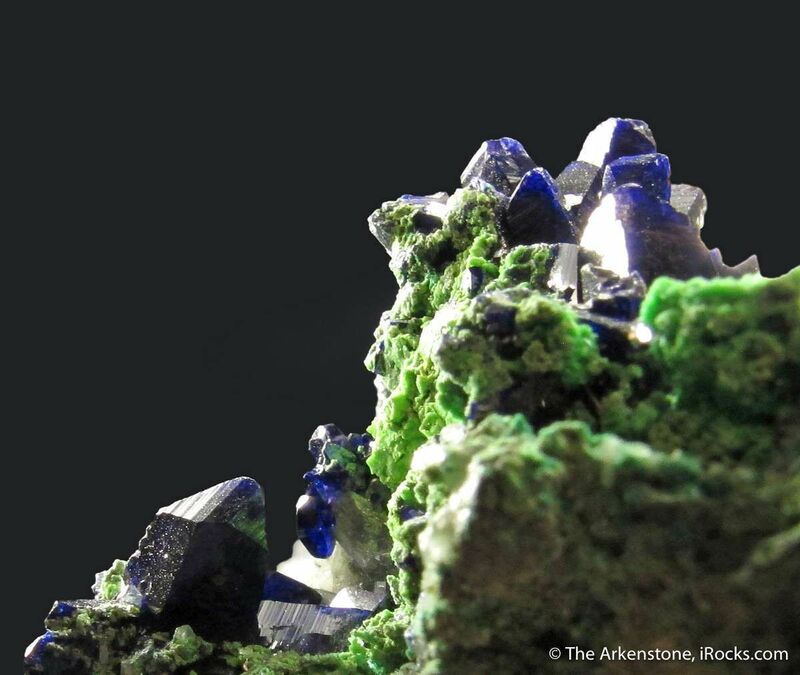 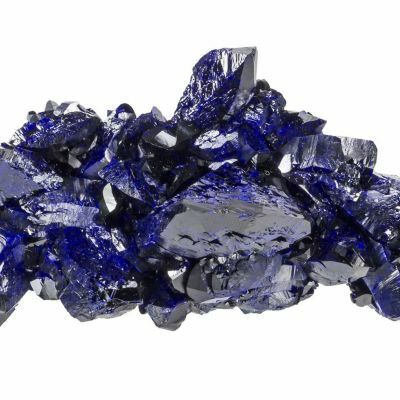 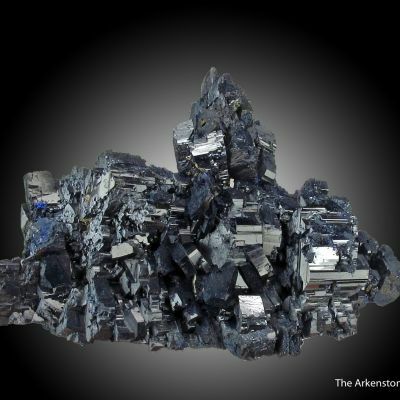 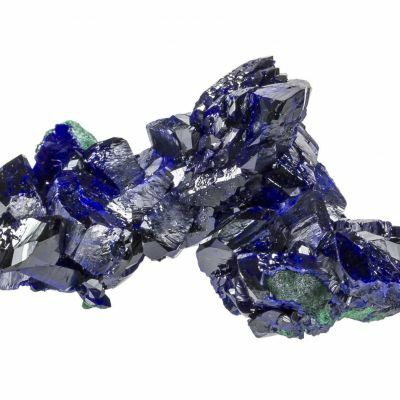 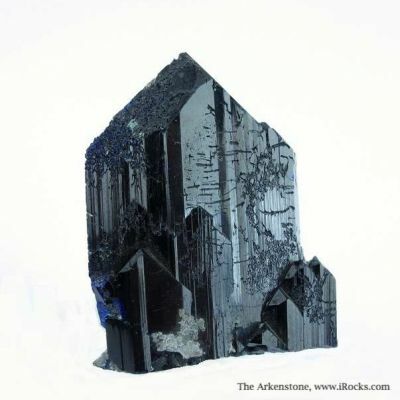 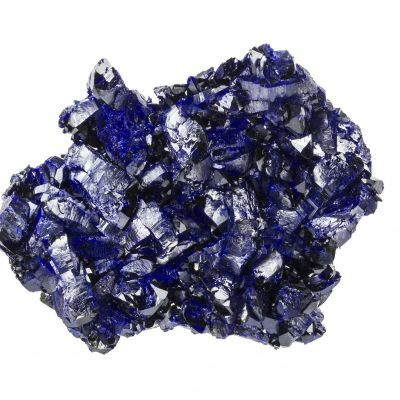 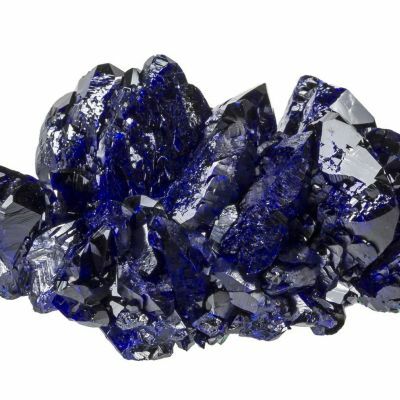 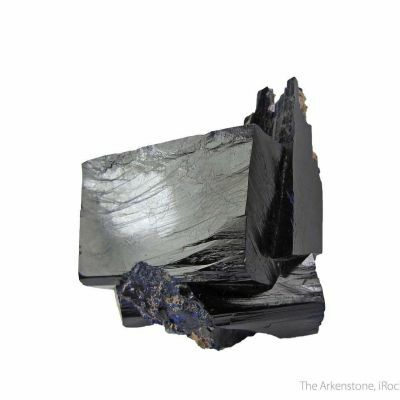 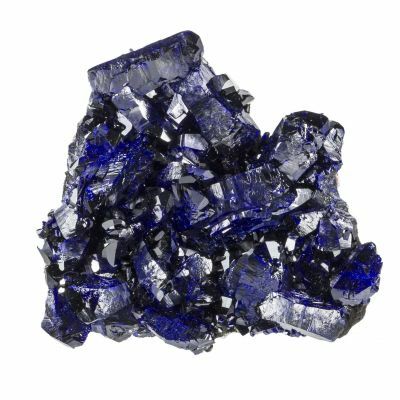 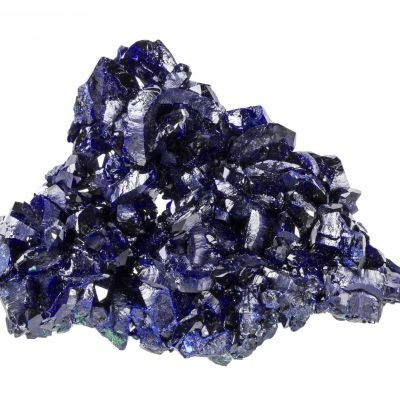 The Azurites have superb luster that cause the crystals to twinkle with their own brand of deep blue fire. 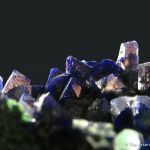 The largest Azurites reach about 8 mm, and all of them are well-formed and sharp. 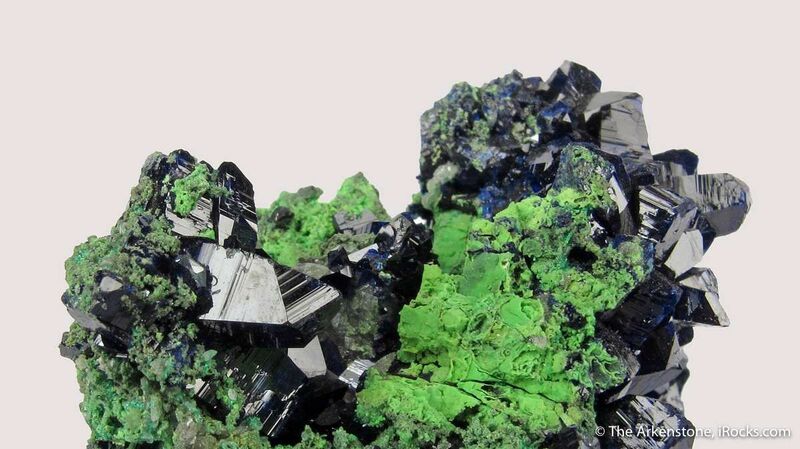 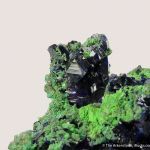 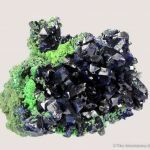 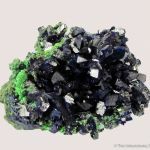 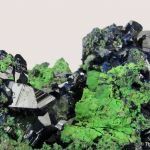 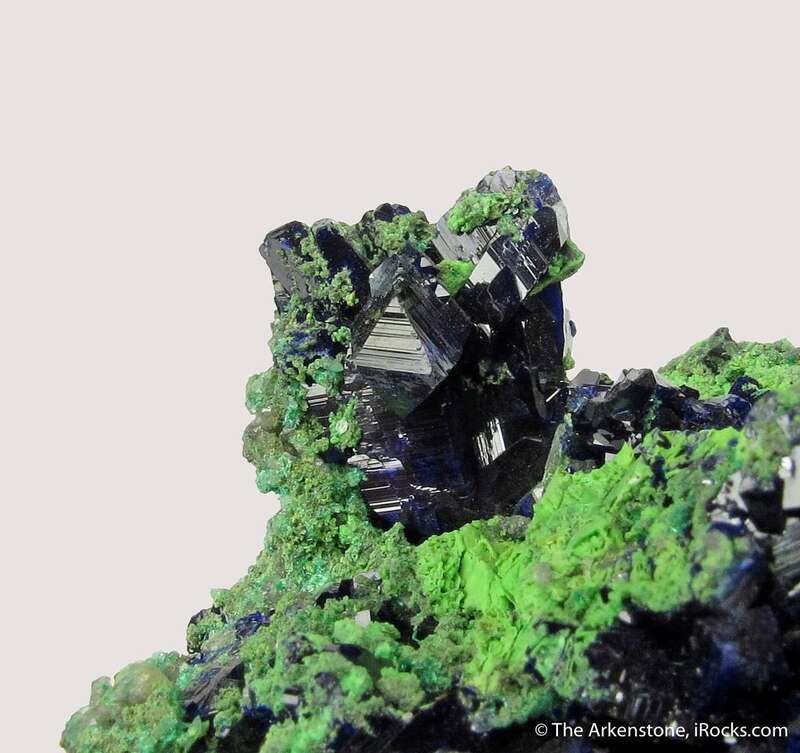 Associated with green Arsenotsumebite (Type Locality), the color combination is quite attractive, and mineral association an important one seldom seen for sale these days - over 100 years old!